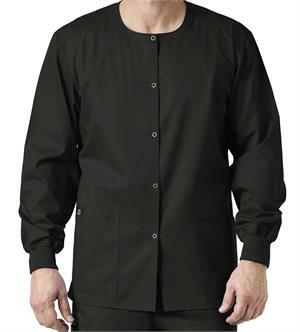 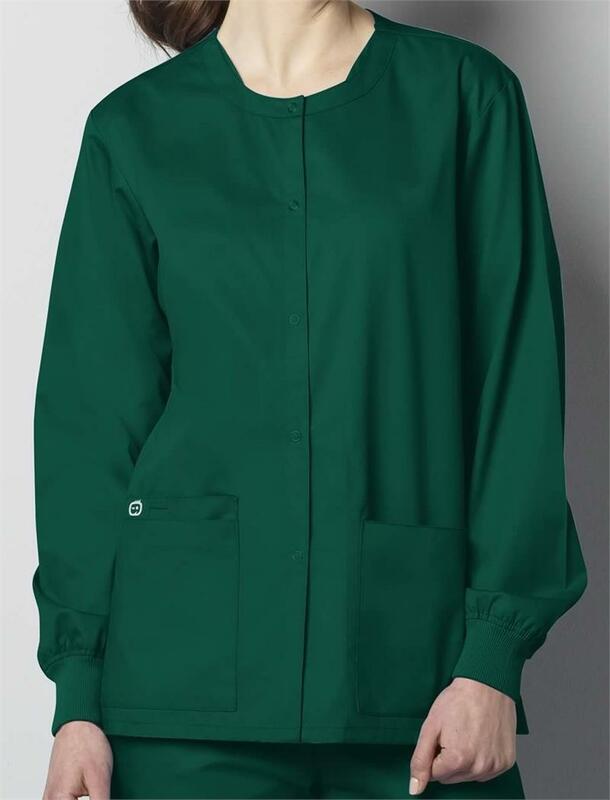 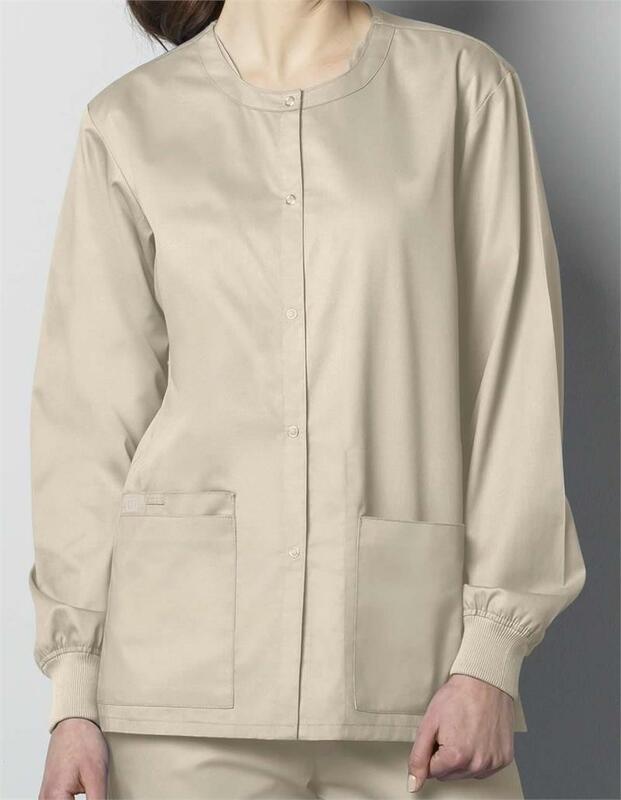 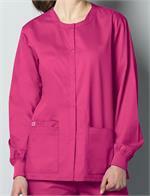 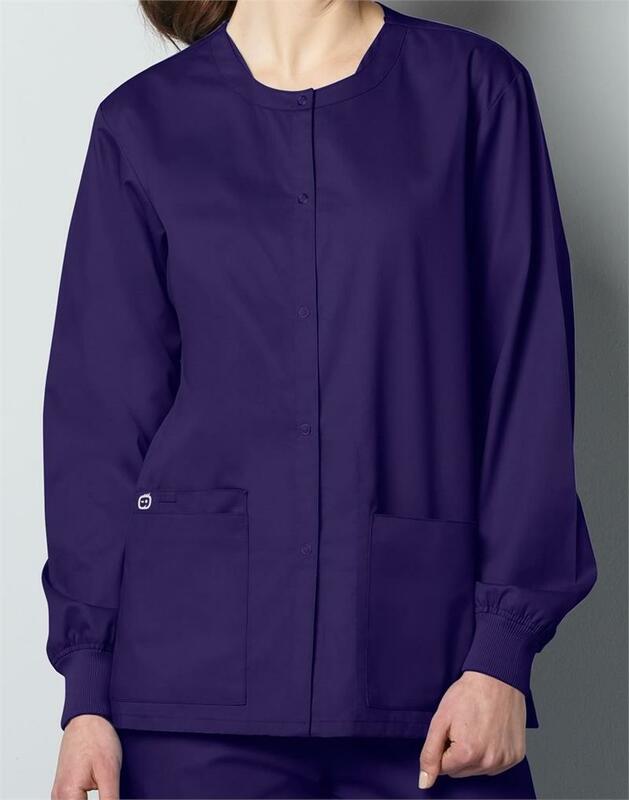 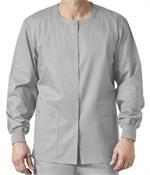 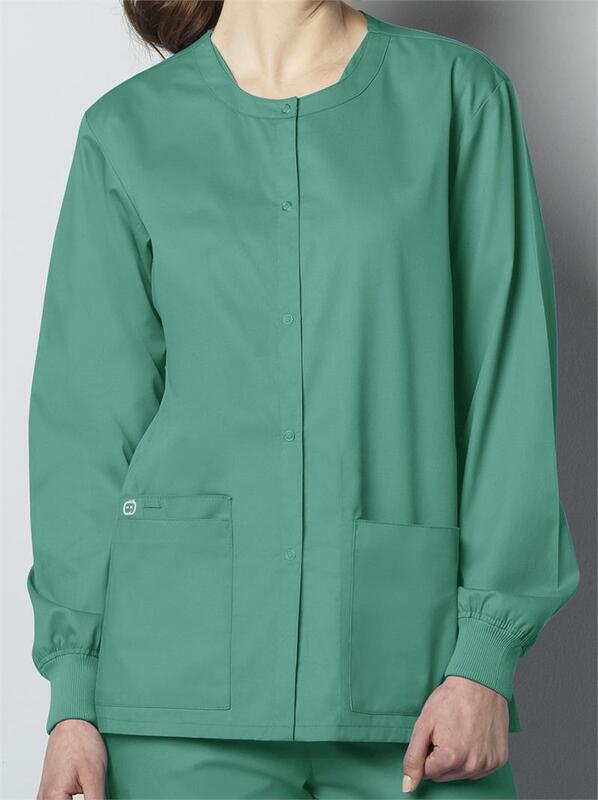 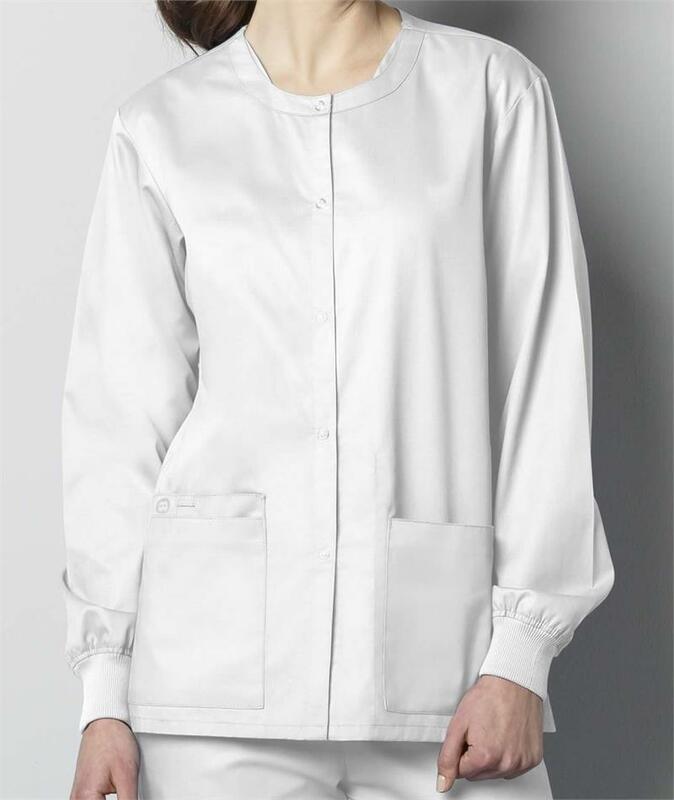 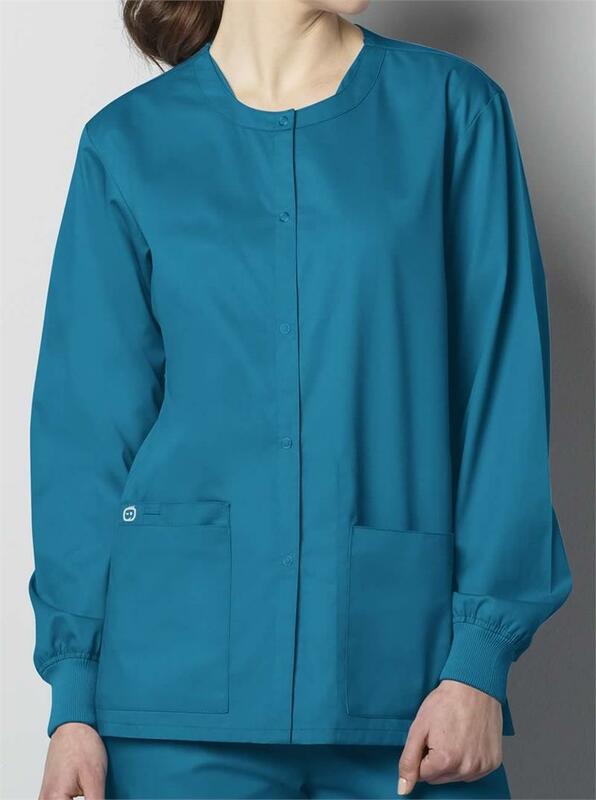 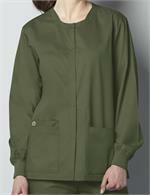 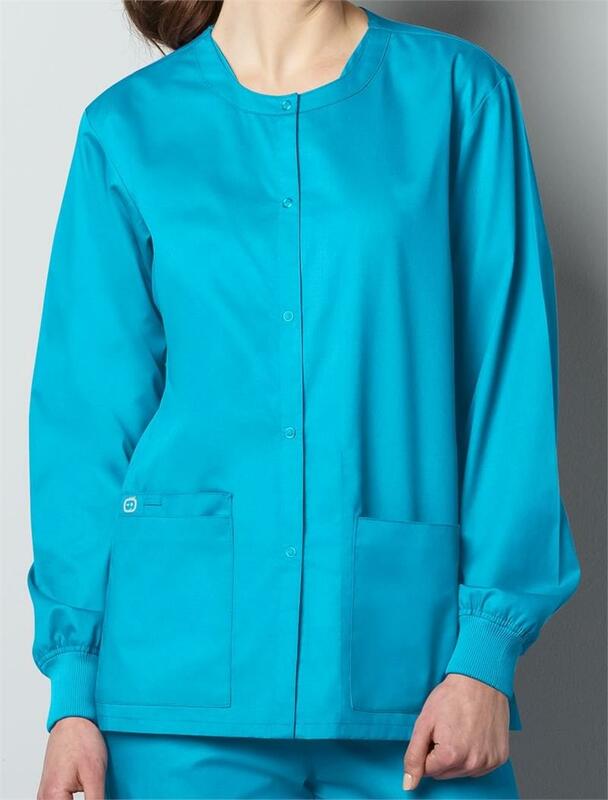 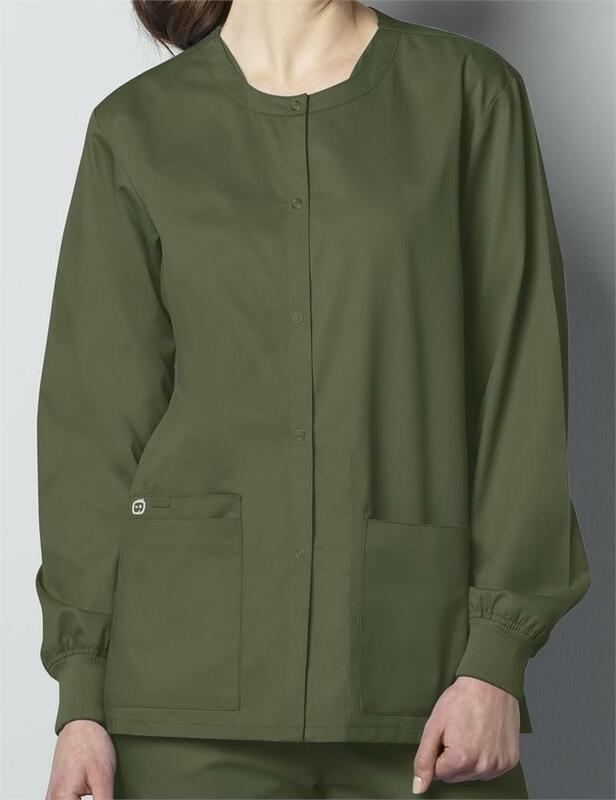 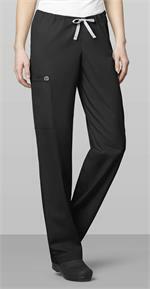 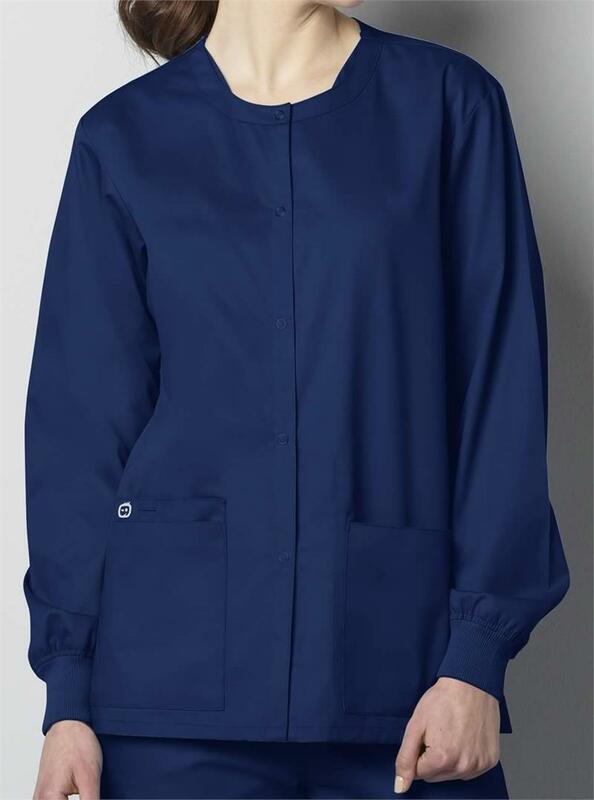 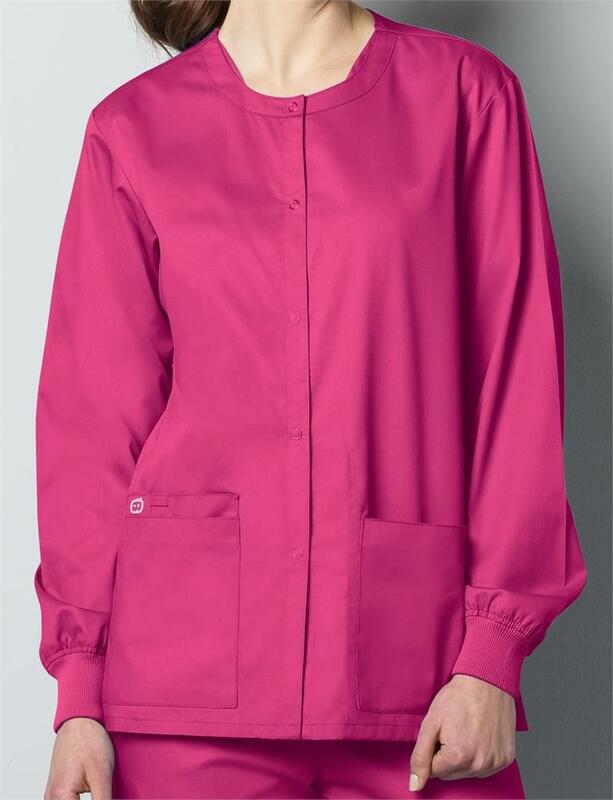 This WonderWink WonderWORK unisex snap front jacket features unisex fit, two large front patch pockets, one pen pocket, one cell pocket, one inside tablet pocket, soft rib knit cuffs, easy front snap closure, vented sides and WonderWORK active twill fabric, and 360 degree mechanical motion stretch. 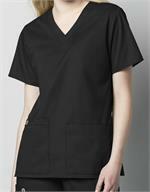 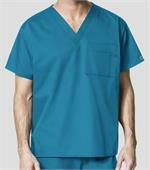 Made of 65% polyester / 35% cotton. Center back length is 29 3/4".